ESPN is clearly all in on the NFL Draft this year, with two separate shows covering the draft itself. 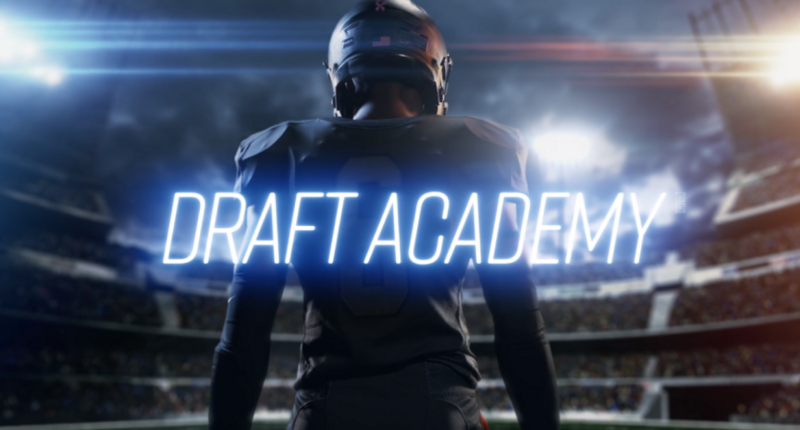 On top of that, ESPN+ debuted the second season of Draft Academy, a look behind the scenes at the draft preparation for six top NFL prospects. The second season of ESPN’s eight-episode original series Draft Academy debuts today exclusively on ESPN+. The series profiles six prospects – including four projected first-round picks – who will be part of the upcoming 2019 NFL Draft (April 25-27). The first two episodes are available now on ESPN+, the direct-to-consumer sports streaming service. Additional episodes will debut each Thursday through May 2. The 2019 edition of Draft Academy tells the stories of six players – Nick Bosa, Drew Lock, Marquise Brown, Josh Jacobs, Jarrett Stidham and Tyree Jackson – who expect to hear their names called in the 2019 NFL Draft. The series chronicles the focused and intense period of preparation and process in the lead-up to the draft for each player, giving fans a behind-the-scenes look at their training, the NFL Scouting Combine, Pro Days, home visits with their families, and more. Episodes 1-7 will highlight the lead-up to the NFL Draft, while the final episode will recap the draft weekend experiences. New episodes will drop every Thursday through May 2nd on ESPN+, with that final May 2nd episode looking back at how the draft unfolded for the players involved. If you’re interested in the entire draft process, you’re a fan of one of these players, or you just really need a football fix of some kind, you might find something interesting here.